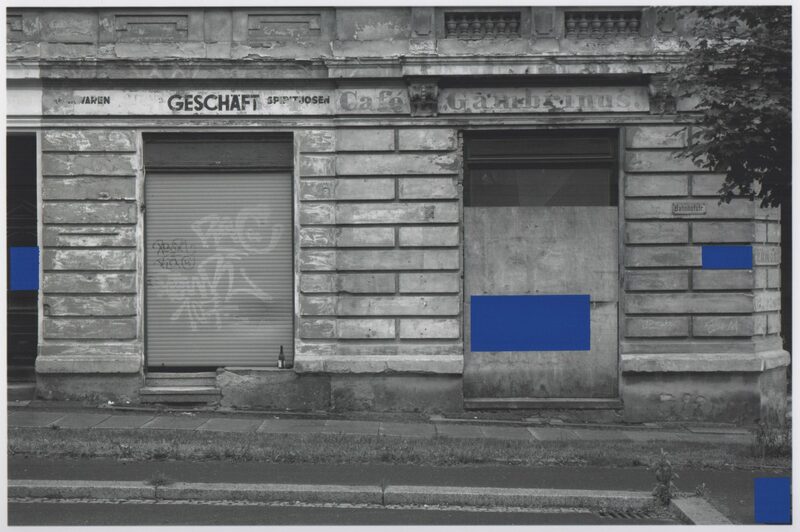 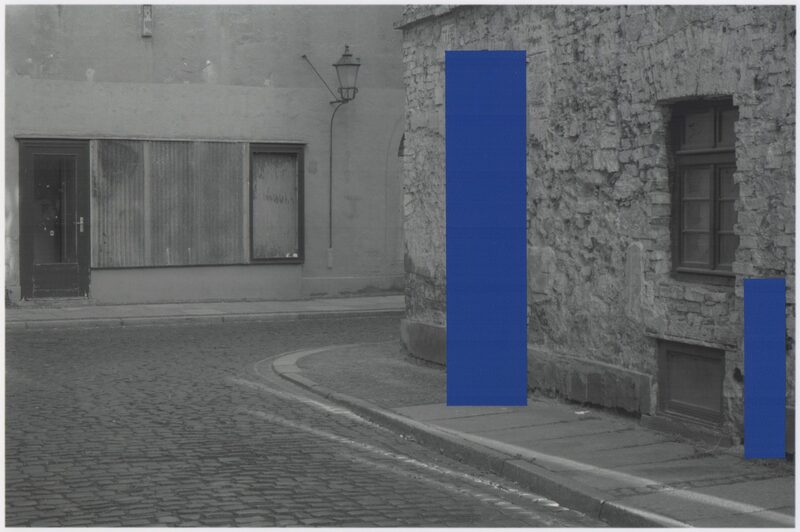 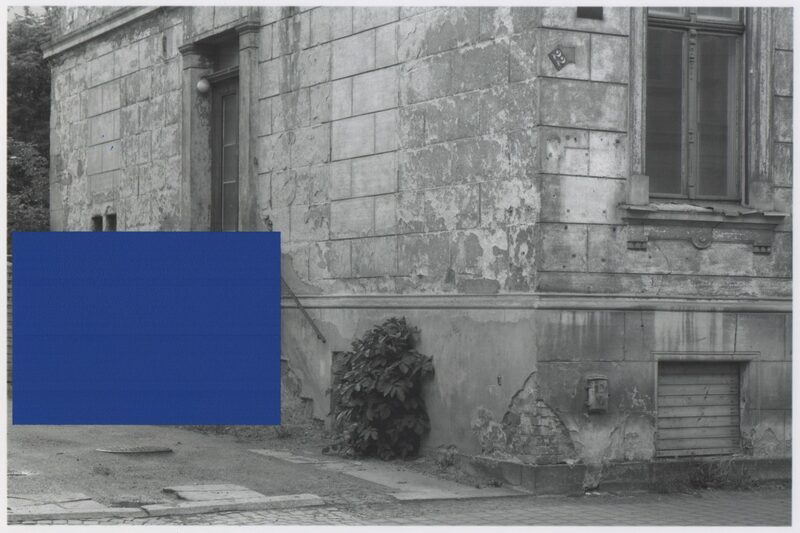 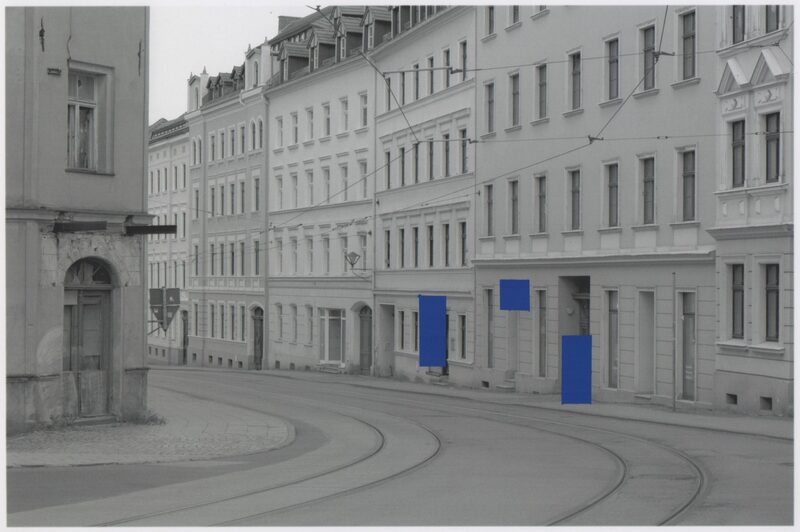 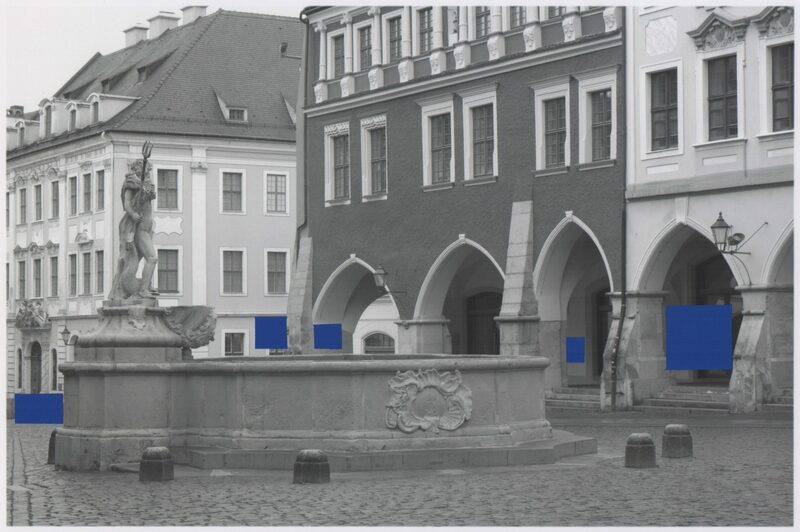 »Görliwood« is a series of C-print photographs colored with Chroma Key Blue (used for Cinema effects through blue screen) that depicts empty streets in the city Görlitz. 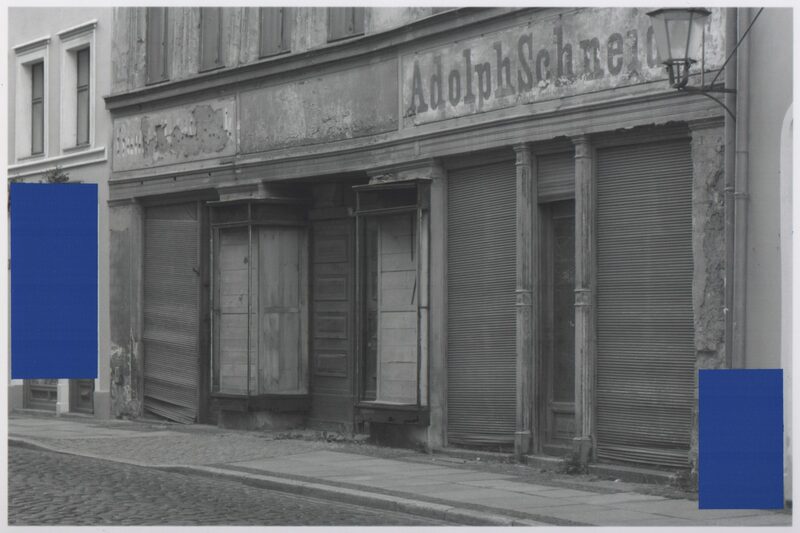 The southeastern city is one of the most well-preserved cities in Germany and consists of several buildings ranging form the Middle Age to GDR-modernism. 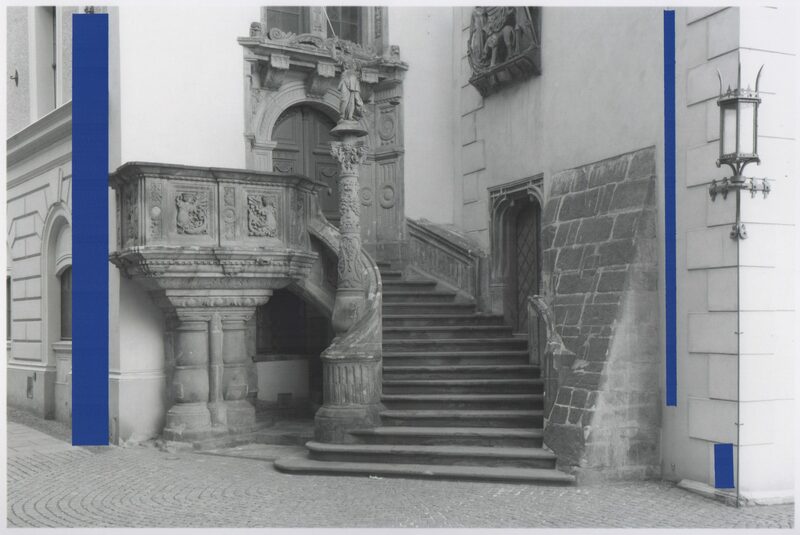 As a backdrop for several movie-productions in recent years, the city has become known as “Görliwood” and of importance to the municipal and local economy. 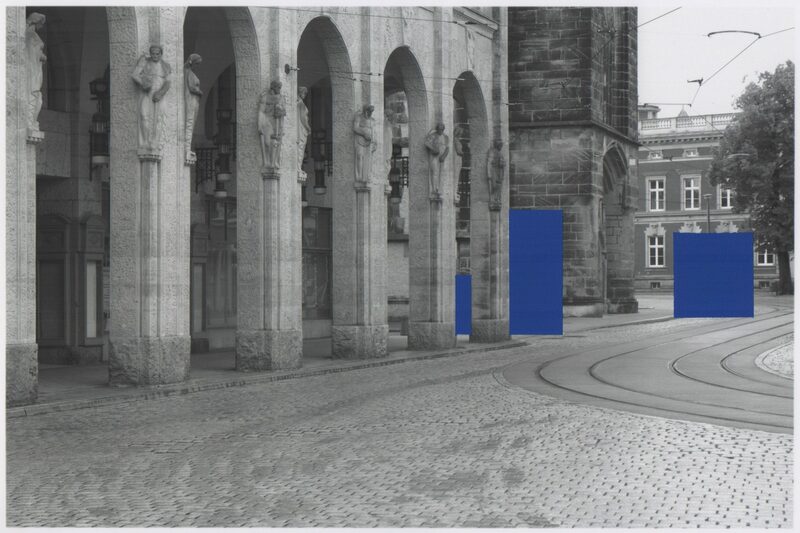 Hoflund’s work »Görliwood« points to various aspects of arrested decay, location-shooting, stage- and costume-design, museum objects and theatrical props, architectural restoration and our perception of space and time.